Army ROTC Alumni Society exists to support the Buckeye Battalion cadets and cadre and to promote relations among alumni, cadets, and the University. 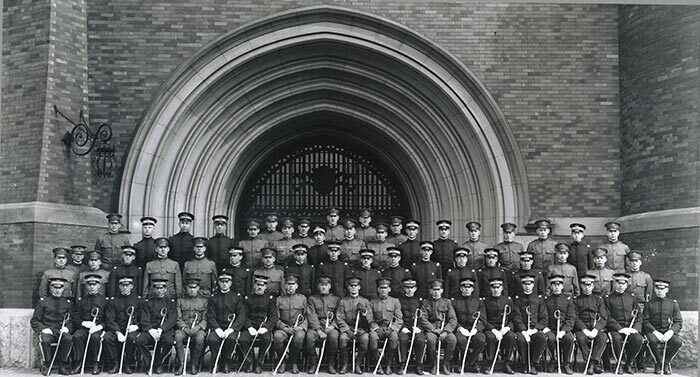 The Army Reserve Officer Training Corps has a rich history extending over 100 years on the Ohio State University campus. Thousands of military and community leaders have launched their careers through this program. Through a variety of events, the Alumni society seeks to share the rich tradition with cadets, learn what’s new in the Buckeye Battalion, and honor cadets and alumni. Through social events (i.e. OSU football homecoming and various awards programs) the society hopes to promote the spirit and keep alive the legacy that is ROTC at OSU. Today’s ROTC cadets are training to lead the Army of the future, and they deserve the support of the University and the Alumni. Visit the OSU ROTC Alumni Site! Copyright © 2013-2012 The Ohio State University Army ROTC. All rights reserved.